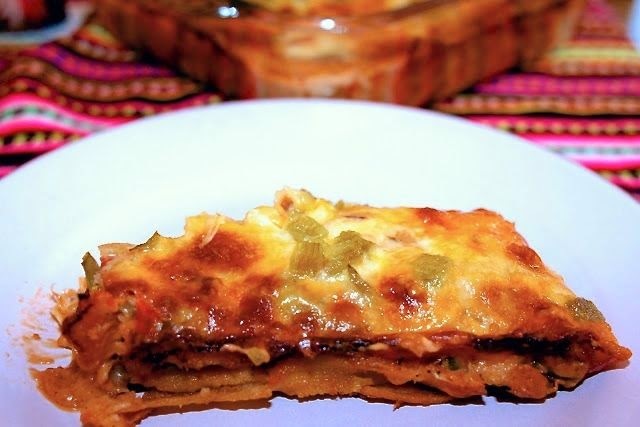 I've been working on a good enchilada recipe for a while and because I am having trouble with wheat I wanted to make a corn tortilla enchilada. Corn just seems more authentic anyway, and I love the flavor. Well, this recipe was a winner with my family. I really think what made it so good was baking the enchiladas in heavy cream. They never came out as moist and flavorful before... of course heavy cream and bacon always win! Well, have a wonderful Mother's Day, no I didn't forget this holiday, and I will see you again next week. 1) pre-heat 400 degrees oven middle rack set. 2) Spray bottom of 2 8x8 inch baking dishes or one large 9 x 13 inch dish. I like the 2 smaller pans because then I can freeze one. 4) When onion wilts add beef with salt and pepper. When beef is no longer pink add refried beans and 3 tablespoons of salsa. Mix well heat through. 5) Wet a kitchen towel with warm water. Open tortilla package and keep them towel on top of the tortillas. Remove one tortilla at a time and fill with about 1 tablespoon of beef bean mixture. Roll and pack tightly in baking dish. 6) Mix heavy cream with 1 cup of salsa and pour over tortillas. Make sure edges are covered so they don't get hard while you bake them. Top with shredded cheese and bake uncovered for about 1 hour or until the cheese is lightly brown and the cream is bubbling. 7) Let rest for at least 10 minutes before serving. Top with green chilies, fresh cilantro and a dollop of sour cream. The ricotta cheese makes these just a little more exciting then your plain old pancakes. A vegetarian delight: zucchini stuffed with chickpeas and blanketed with cheese. 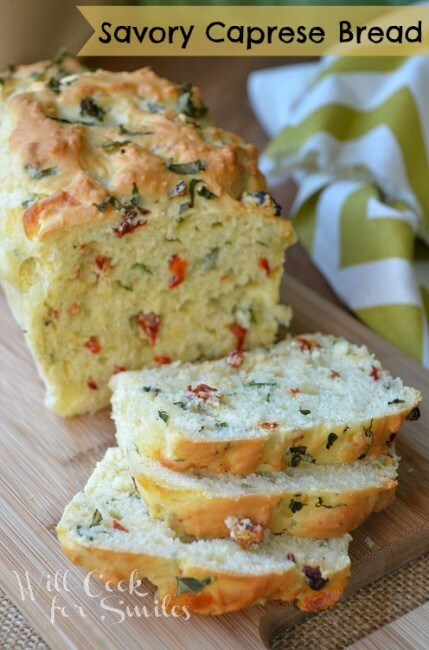 This tomato, basil, mozzarella bread makes a great appetizer or side for a simple meal. Another great, and soft :) recipe this week, hope your feeling better! Thanks for hosting & have a great Mummy's Day!! Love that soft food LOL. So glad to join your party. Thank you for hosting! Thank you for coming Suzy. Hi Danielle, glad to see you back here again. Hope your surgery goes/went well! Your enchiladas look just mouthwatering. Thank you for sharing them, and for hosting. I've shared a Lemon and Ginger Yogurt cake - or cupcakes - or mini bundts! I had the surgery last week and already got some of my stitches out, so I'm doing well. Just miss eating and talking a lot... getting back to doing more of both. You are welcome thanks for coming by. Hope your surgery went well Diane. I've been there and know what you're going through. Thank you for hosting through the surgery ordeal. You are Wonderwoman. Hope you have a lovely Mother's Day weekend. Yes, it was good to hear from you last week that this is worth it... because boy Sam is this a pain. Thanks so much Liz... on the mend, but tough being limited in what I can eat. Torture for a foodie. I am so sorry that you have been enduring oral surgery, and hope you will be able to eat very soon. Our family would just love your enchiladas, we will be trying them. Hope you have a very special Mothers Day and thanks for hosting! Thanks so much Miz Helen, I'm recovering well... you have a happy mother's day too. 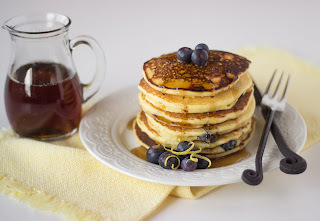 Thanks for the feature for my Lemon Blueberry Pancakes! Glad to hear you are recovering too. Have a Happy Mother's Day! You are very welcome. Your pancakes are just the kind of food I need to eat. Thanks for hosting Diane! Hope you feel better soon and hope you have a great weekend! You are welcome always enjoy your recipes. Thank you very much for featuring my caprese bread! You are very welcome. I need to make your bread for my Italian mother she will love it. I know the cream added calories but oh, what flavor and such a wonderful texture. I hope you get to try out the recipe. My family is already asking me to make it again. haha... ok. FIrst off, the whole late cinco de mayo thing cracked me up because it is something I would totally do. :) So glad you came by my site so I could find yours... and your awesome foodie link party. :) Hope you have a great weekend. Yeah, my stomach is screwed on tight but my head isn't... so glad you joined us, hope to see more of you. How long will it be before I can let the idea of tortillas baked in cream go? My goodness! Thank you for hosting, Diane. Hope you are recovering quickly! Michelle, you will love this... enjoy. Thanks for featuring the Zucchini Shoes Diane. Hope you are recovering fast from the surgery. Have a nice weekend and wish you and Grace a very happy mother's day !! Thank you... you read my post about my mother. Thanks so much. Thank you Lynn... getting to eat more and more... can't wait until I can bite into a sandwich. YUMMY! Look at all the fabulous food! 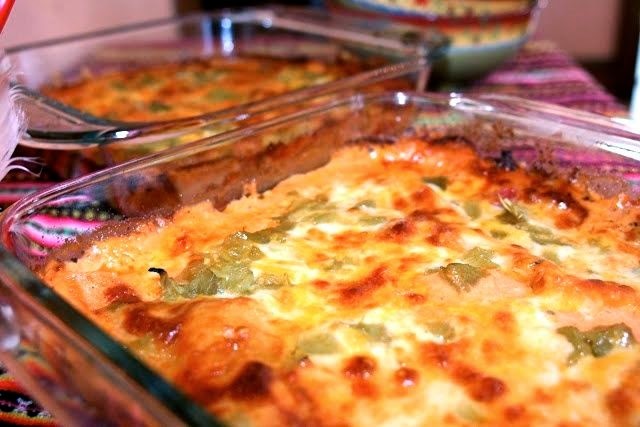 Your corn tortilla casserole would be a huge hit at our house! Thanks for hosting! I hope you get a chance to try it... it is truly an easy sell to the family. Oh my gosh, I wish I had all day to go through every single one of these recipes! They all look so good. I've definitely seen a couple already, though, that look like keepers for the weekend! Thanks for hosting, Diane. Always a great source of inspiration. I agree... these parties keep my pin boards filled. It is hard to decide what to cook each week and my family wonders where I get so many great ideas. So glad you came Lisa... good to have you. Thanks Lori.. glad you visited. The enchiladas look excellent! My sister had been reading a book called Wheat Belly and is doing a wheat free trial...I am going to share this recipe with her since Mexican is her absolute favorite! Fantastic...yes I have a mild wheat allergy and need to avoid wheat as much as possible. The corn really tastes better in an enchilada anyway. Thanks for hosting another terrific party Diane! You are very welcome Nancy great to see you. I like the Corn Tortilla Enchiladas. Just pinned it and shared on FB. Thanks for sharing. It's great to join this week. Nice to know that your mom is a nurse too! I hope you get to make the enchiladas soon. So glad to have you with us each week. Thanks for inviting me to post! Hope you had a wonderful weekend. Diane, just the recipe I was looking for. Its getting cool over here, finally so I'm looking for warming dishes. This is perfect. I'm making this on the weekend. Thanks for linking up to Thriving on Thursday each week. I love your recipes.